Draft Mission Beach was putting on an event for Valentines Day called, Singles Mingle. 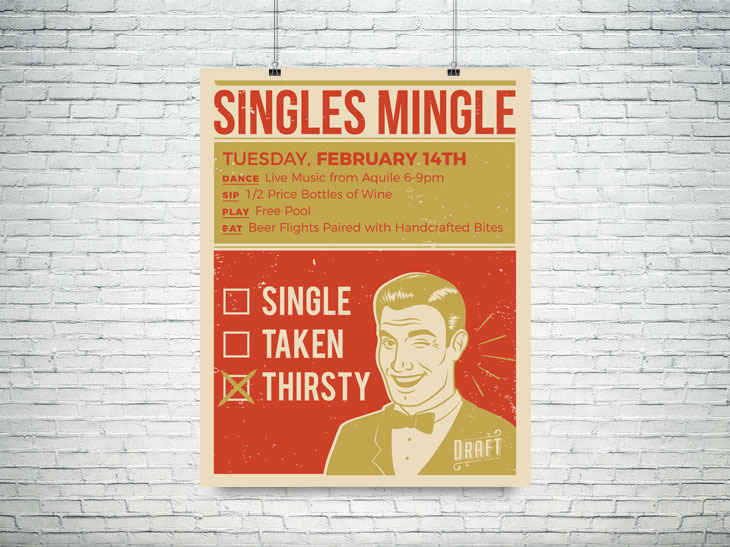 This event was truly for anyone but the advertising really wanted to draw in the single people looking for love or looking for beer. Either way, this fun and eye catching poster is a play on culture today. By revisiting the old "will you go out with me" checklist, this poster reels the public in with it's play on words, relating to dating mixed with the content of the event witch is drinking.